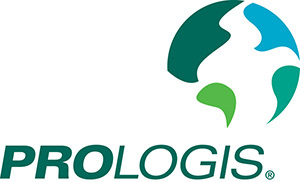 PRAGUE (25 January 2017) – Prologis, Inc., the global leader in logistics real estate, today announced fourth quarter and full year 2016 activity in Europe. Prologis Europe ended the fourth quarter with 96.7 percent occupancy, an increase of 90 basis points over the course of 2016. The company signed new leases and renewals totalling 718,200 square metres in the fourth quarter and 3.5 million square metres in the full year 2016 – an increase in volume of 54 percent over 2015. At quarter-end, the company owned or had investments in, on a wholly-owned basis or through co-investment ventures, properties and development projects totalling 17.0 million square metres in Europe. The United Kingdom, Germany and the Netherlands in Northern Europe. Lyon, Le Havre, Barcelona and Valencia in Southern Europe. 34,300 square metres for Yusen Logistics in the East Midlands, UK. 32,500 square metres for Sainsbury’s in Northampton, UK. Supply of Class-A distribution facilities remains low across all European markets. In the fourth quarter, Prologis Europe started 13 developments in the Czech Republic, Germany, France, Hungary, Italy, Poland, Slovakia, Spain and the UK totalling 309,000 square metres, 65 percent of which was build-to-suit and 35 percent of which was speculative. 56,000 square metre build-to-suit for Tesco near Bratislava in Slovakia. 24,000 square metre build-to-suit for Action at Moissy II, France. 14,000 square metre build-to-suit for Dwell at Milton Keynes, UK. In 2016, Prologis acquired €70 million of buildings totalling 121,500 square metres and 18 land plots totalling 1.3 million square metres across Europe. These acquisitions were in line with Prologis‘ strategy of investing carefully in global markets. During the year, Prologis sold portfolios in the Netherlands, UK, France, Germany, Italy and Sweden for a total of €259 million.